Bluebird Lane Jaeger Rocks the Midwest! > Bluebird Lane Jaeger Rocks the Midwest! I want to extend a great big congratulations to Bluebird Lane Jaeger, his owner Kristin Lee, and his rider Anna Lee, on another extremely successful showing in the Midwest! At the Midwest Fjord Horse show this year Jaeger was Grand Champion Gelding (for the third year running) and Versatility Champion (a feat he also accomplished in 2009)! 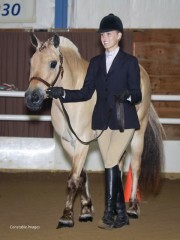 And this year he was Reserve Champion Adult High Point (in which he was Champion in 2009 and 2010)! 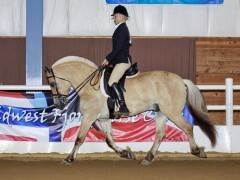 The Fjord shows in the Midwest are generally the biggest in the country, and Jaeger’s consistently successful showings against a large number of Fjords is testament to both his quality and the wonderful training his owners have given him. Kristin purchased Jaeger from us as a coming three year old, and she was very clear on what she was looking for. 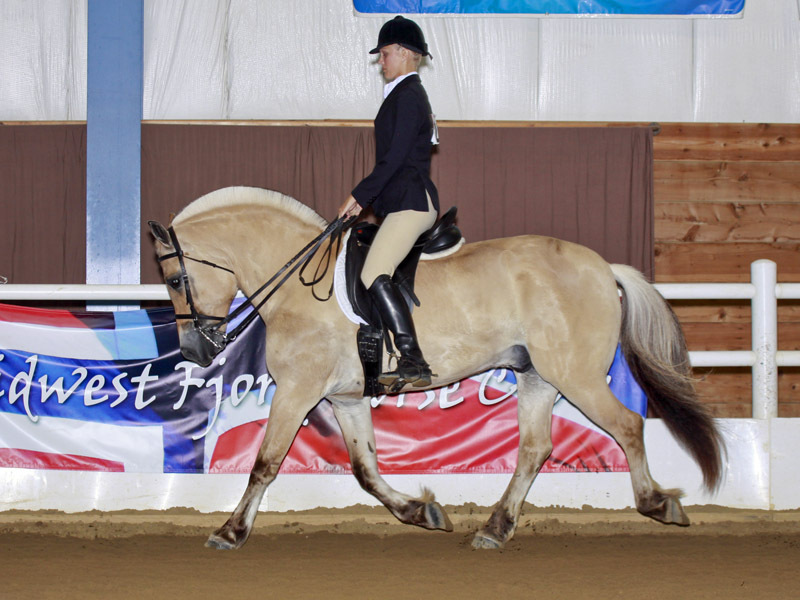 Kristin knew she wanted to show, and she was looking for a young Fjord gelding with balanced, comfortable gaits who was well-suited for sport. After viewing Jaeger’s video, Kristin could see he clearly stood out from other young horses she was considering, and she knew that he was exactly what she was looking for. Kristin purchased Jaeger sight-unseen based on our video and Bluebird Lane’s reputation. From the moment Jaeger arrived in Minnesota, Kristin has been thrilled with this wonderful gelding, and we have been thrilled with the good care and training she has given him. Kristin’s trainer said he could tell Jaeger was handled very well as a baby since he was so respectful and polite. I was speaking with Kristin this fall, and she was saying that she was about to take Jaeger up to her cabin for a week with four girlfriends to ride the state forests. They trailer their horses to the parks during the day and stay at the cabin at night. They have a couple of paddocks and picket lines for the horses. Kristin said they always have a great time! This anecdote reminded me again just how much I love the Fjord breed. The exact same horse can be competitive and successful in the show ring, and then go for a fun week of trail riding in the state forest! A Fjord really can take you anywhere! Congratulations to Bluebird Lane Jaeger and Kristin and Anna Lee! You make us proud.